Dr Darren McKeown is a leading figure in the field of facial aesthetics, who has a busy practice in his home city of Glasgow. Dr McKeown began his medical career by studying and training in plastic surgery. As a young medical student, he spent a summer elective term with a Beverly Hills plastic surgeon at a time when a then little known drug was beginning to make a big impact at the other side of the Atlantic. The drug was called Botox®. in the emerging field of minimally invasive aesthetic medicine. 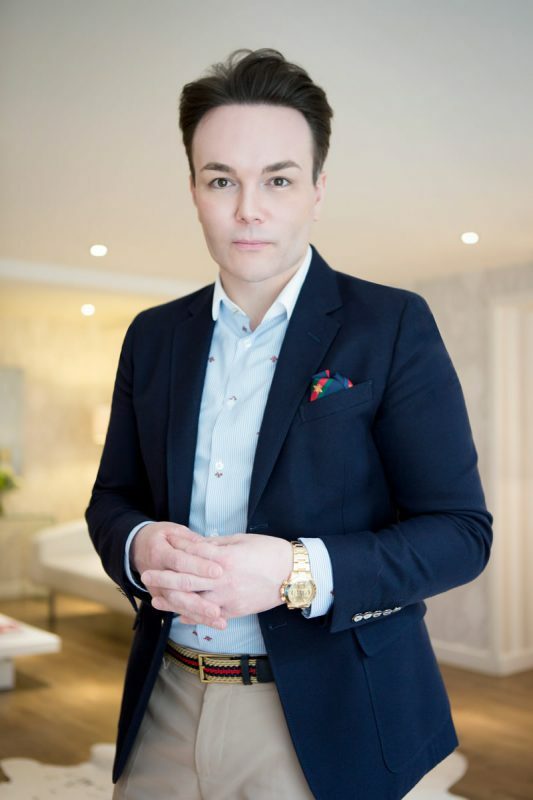 In his aesthetic practice Dr McKeown experimented with traditional techniques using anti-ageing treatments and fillers, with the goal of creating more natural results. As his techniques continued to deliver ever improving results and his reputation as an aesthetic practitioner grew from strength to strength, Dr McKeown came to the conclusion that minimally invasive aesthetic medicine was the exciting way of the future and decided to put down his scalpel and focus his career entirely on minimally invasive technology. Minimally invasive cosmetic medicine is now Dr McKeown’s full time occupation – it’s what he does all day, every day. Dr McKeown has a strong academic background and has published broadly in the medical literature, including original research papers and textbook chapters. As a result of his expertise, the media often seeks Dr McKeown’s opinion on all things cosmetic and his views are regularly featured across a range of newspapers, magazines and television. His eponymous range of skincare can also be found in high street retailers. At his Aesthetic Medicine Institute Dr McKeown not only strives to offer patients the most cutting edge techniques, but to do so in an warm and welcoming environment where people can relax and and enjoy themselves. “In my clinics we see people from all sorts of different backgrounds and from all walks in life. That is part of what makes my job so interesting. We really strive hard to create an unpretentious environment where people can relax and enjoy the experience, safe in the knowledge they are being treated with the best techiques and technology to deliver the results they want.